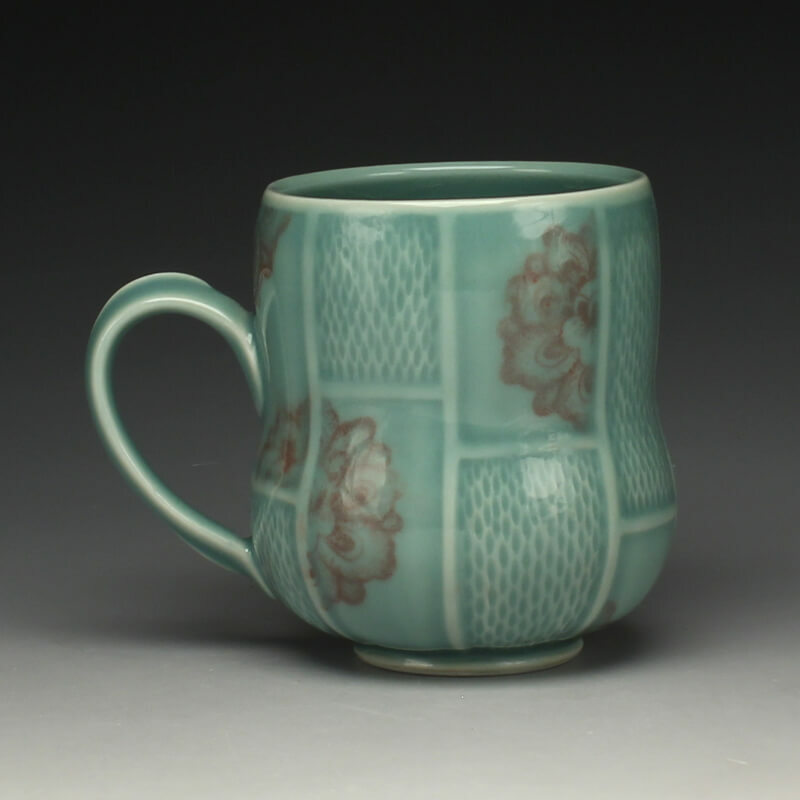 I was born in Seoul, Korea, where I spent my childhood and naturally developed a connection to traditional Korean ceramics (Koryo Celadon). I studied fashion design in Korea and worked for five years as a designer before coming to the United States to gain more design experience. While in the United States, I became interested in working with clay and changed my plans to study ceramics. I received my BFA in ceramics from Washburn University in Kansas in 2004. Then in 2005 I was accepted into the MFA program at Southern Illinois University in Carbondale, Illinois where I completed my MFA degree in August 2008. I have been working as a Visiting Resident Artist at Midwestern State University since 2009. My life experiences and cultural background inspire my ceramic pieces. My work consists of functional and sculptural carved porcelain. First, my pieces are thrown on the wheel, and then altered by cutting, adding clay and carving to create new forms. Through the carving process I strive to depict positive and negative space uniting the ideas of fullness and emptiness. I create ceramic objects that reflect traditional Korean culture and western contemporary style. Eastern and Western cultures are symbolically expressed through this language. Like Yin and Yang, my work encompasses the influence between traditional Asian values and modern Western society.